Marmolada is a mountain in northeastern Italy and the highest mountain of the Dolomites (a section of the Alps). It lies between the borders of Trentino and Veneto. Tirol, Marmolata vom Sellajoch, Aus. - Title from item. Translated title from the Detroit Publishing Co., Catalogue J foreign section, Detroit, Mich. : Detroit Publishing Company, 1905. 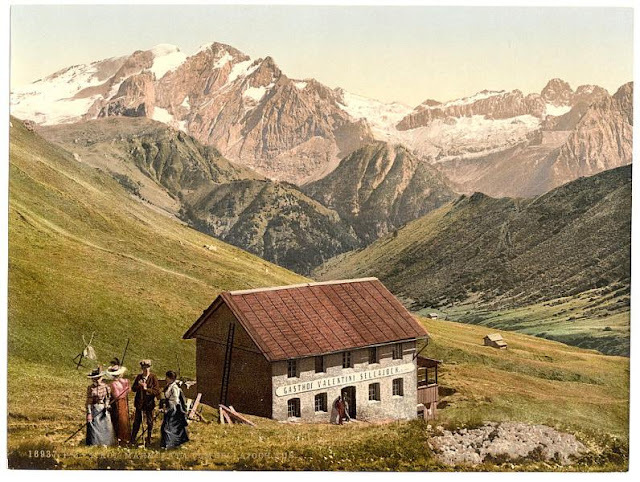 - Forms part of: Views of the Austro-Hungarian Empire in the Photochrom print collection.